There are quite a few reasons to choose a full highlight over a partial highlight or even a full color, including the fact that the procedure is much less damaging and adds tone and dimension to a full head of hair. When most people step into a salon thinking they want a full color it’s because they want to go a few shades lighter than the color they have now—especially for blonde’s. What they don’t know is that they don’t have to commit to the damaging effects of a full color if they don’t have to, and that a full highlight will usually do the trick for just a little bit more time but less damage. There are quite a few reasons to choose a full highlight over a partial highlight or even a full color, including the fact that the procedure is much less damaging and adds tone and dimension to a full head of hair. 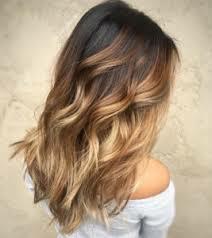 A full head of color, which is sometimes called single-process hair color, involves coloring the entire head of hair at one time from root to tip. This process is best used for darker, more intense colors or for those looking to get a really intense pigment out of their hair color such as with a deep red or black. If your goal is to get a really intense color, single-process may be a better idea than a full highlight. However, the drawback to single-process over full highlights are that the process is much more damaging to the hair, so be weary of any upkeep or additional maintenance you’re going to have to do to achieve healthy-looking hair on top of your desired color. Have you ever heard of the little poolside trick that putting lemon juice in your hair will lighten it up when you go out in the sun? That’s essentially what full highlights do for you without having to douse your hair in citrus juice. Full highlights are meant to bring out natural sun exposure to the hair in one sitting. The hair coloring process can lighten your hair significantly and add desired dimension, giving your hair a really beautiful tone and sun-kissed look. Full highlights can lighten the hair significantly, so if you’re looking to go one or two shades lighter you should consider this procedure over a single-process because it’s much less damaging to the hair and may even last longer. Highlights don’t have to look unnatural either if you don’t want them. The chunky looking highlights that were popular in the early 2000’s isn’t the only way to get them done. Ask your stylist to create really small highlights for a more natural look, and specify the style you’re going for before you begin the procedure. The stylists at Aaron Emanuel Salons in New York City are trained to do great highlights and single-process color procedures, so book your appointment today!